Geoﬀ has a wide-ranging corporate-commercial litigation practice, with expertise in complex class action litigation and matters relating to securities, insolvency and restructuring, and competition law, as well as construction disputes and matters involving environmental liability. 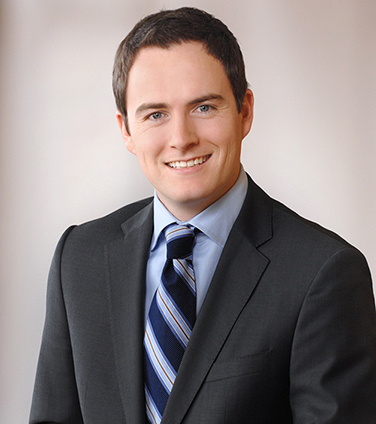 Geoﬀ also has signiﬁcant experience in internal and regulatory investigations, and has acted for clients in proceedings commenced by regulators, including the Ontario Securities Commission. He was a summer student with the ﬁrm in 2007, and completed his articles in 2008-2009 during which time he was seconded to the legal department of the Royal Bank of Canada. While in law school, Geoﬀ represented Canada at the Commonwealth Moot in Nairobi, Kenya. Cameco Corporation, in the trial of a transfer pricing appeal to the Tax Court of Canada relating to the international sales structure of the corporate group. Canadian Oil Sands Limited (COS) before the Alberta Securities Commission in successfully resisting an application by Suncor Energy Inc. (Suncor) to immediately cease-trade a poison pill of COS adopted in response to the Suncor take-over bid. Sears Canada Inc., in connection with its orderly wind down under the Companies’ Creditors Arrangement Act. Target Canada Co., in connection with its orderly wind down under the Companies’ Creditors Arrangement Act. Transparency International e.V. and Transparency International Canada before the Supreme Court of Canada in the World Bank Group v. Wallace appeal. Sino-Forest Corporation’s Board of Directors and Independent Committee in connection with the Independent Committee’s internal investigation, Sino-Forest’s restructuring under CCAA proceedings and related securities class action litigation. Elpida Memory, Inc. in a regulatory investigation and parallel class action proceedings in Quebec and B.C. relating to allegations of price-fixing in the computer memory business. Insurance Bureau of Canada in connection with its defence of a private application before the Competition Tribunal. Ontario Energy Board Staff before the Ontario Energy Board in a constitutional challenge to Ontario’s green energy assessments under the Ontario Energy Board Act. Imperial Oil Limited in connection with various proceedings involving environmental matters. A subsidiary of Vale S.A. in connection with a dispute relating to a construction project. Various individuals in enforcement proceedings before the Ontario Securities Commission. Various Canadian public and private companies in connection with internal investigations. Various Canadian companies in connection with corporate arrangement transactions under the CBCA and OBCA.